Multi-tools provide the best of hand-held tools in one convenient grip. Advanced work with quality materials have produced multi-tools that can last for years, and have replacement parts for any that wear out or get broken. Most multi-tools serve general purposes, while some are geared toward one profession or another. 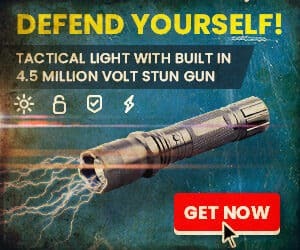 For example, some of them are designed to aid electricians who deal with different gauges of wire, while others are designed for the camping aficionado. Some of them look like the traditional Swiss army knife, while others look nothing like a knife at all. 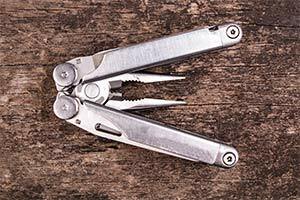 Here are some considerations for selection of the best multi-tool. A multi-tool that is made of thin steel is simply not going to last very long. A good tool will have a wide variety of tools, but each one will be made of strong materials that are rust and corrosion resistant. 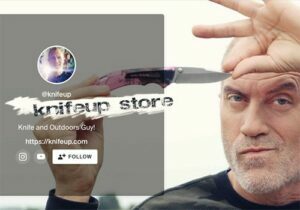 Just as with a pocket knife, the user should select a tool that is made of quality material. In addition, each tool in the set may be made from different materials. For example, a multi-tool that has several screwdriver tips would require metal that is forged to be very hard and tough, able to resist high torque situations without bending or losing their shape. Usually, heat treatment for screwdriver tips and for knife blades will yield the strongest construction that can withstand torque without bending. Remember, too, that corrosion can occur when different metals meet. The metals in your multi-tool must be carefully matched and construction should keep them from contact that can promote corrosion and rust. One indication of a quality product is simply found in the warranty. If an item is poorly made, it will not have a very good warranty. Tools that are made well, of quality materials and construction, should have anything from a 5-year to a 25-year warranty. Some tools have a one-year limited warranty. Most consumers find these tools to be quite inferior. Other companies offer a lifetime warranty, but the fine print reveals that the warranty is limited after the first year of use. Most multi-tools require two-handed opening for most of the tools, simply because there are so many of them layered into the handles. However, even if the opening mechanism is stiff, it should still respond. Many craftsmen and contractors who use multi-tools have thick, work-stiffened fingers, and cannot handle thumb-nail opening of smaller tools. Therefore, those users may want to consider tools that have quick-release opening systems. Rough ridges on the edge of various tools may work for unlocking components, but the user needs to grip the tool to make sure there is nothing that will cut his palm while gripping it. The locking mechanism is even more important that the opening mechanism. When a tool is extended, the locking mechanism should hold the tool steady with no “give”. The tool being used should not, under any circumstances, close on its own. This can cause serious injury, even amputation, to the user. A slippery or weak lock is dangerous. Consumers looking for a good multi-tool should always look for one that has the tools necessary for his own general use. Someone who works with small items such as computer parts should look for tools that have fine tips in a less bulky handle. An outdoorsman will want at least one saw blade and a significant set of pliers in his tool. With the variety of tools on the market, there is no reason for the consumer to settle for a tool that doesn’t provide for his needs. Following are three reviews of popular multi-tool devices. The SOG Assist is constructed with stainless steel handles that will resist rust and corrosion. It has a non-reflective black oxide coating. It comes with a lifetime warranty against defects in material and workmanship. The stainless steel body is constructed using hex bolts, rather than screws, to create a sleeker surface that reduces the likelihood that it will “catch” on the edge of your pocket. The SOG Assist has assisted technology that uses a high-tension coil spring to open the two blades. This is the only system that uses a gear driven leverage system. Customers have both a serrated blade for sawing, and a straight-edge blade. It also features one-handed operation – one of the few multi-tools that does. The locking mechanisms of each of the tools are strong and reliable, and a side release allows for easy, safe closing of the various tools. In addition, with the compound leverage used in this tool, your hand pressure is increased while cutting and gripping. The SOG Assist is equipped with a V-cutter, useful for cutting seat belts, rope, fishing line, and cable sheathing. It also has a saw blade, as well as a regular, straight blade. The pliers have compound leverage. It also has large and a medium flat-head screwdriver bits, a Phillips screwdriver, a crimper, and a wire cutter designed for hard wires such as bailing or barbed wire. It also has a 3 sided file, bottle opener, and can opener, as well as a ruler. Many of the users of the SOG Assist call it a solid tool that can be used with either the left or the right hand. 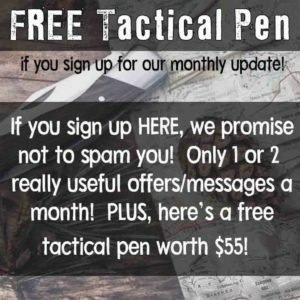 Even Marines wrote in with positive reviews on this tool. While several reviewers said the tool is stiff to operate, it eventually loosens up. They call it a quality multi-tool. Read more here. The Wave Plus features stainless steel construction, and all blades are locking blades. The pliers are also a new design to Leatherman and provide more force than the previous models. The tool is constructed with bronze bushings for improved durability. The Wave comes with Leatherman’s 25-year warranty. The tool is easy to use, offering one-handed operation for several of the tools on the outside, with large thumbholes on the blades located on the outside of the handle providing one-handed access. All of the blades on the Wave Plus actually lock, which was a problem with some Leatherman products in the past. You couldn’t lock all the tools and that was a nuissance. No Longer!! In addition, the knives are larger, and the pliers are stronger. The wire cutters are long enough to twist wires as well as snipping them. The Wave toolkit includes needlenose and regular pliers, cutters for electrical and hard wires, a clip-point knife as well as a serrated knife, and a saw. The tool also has a heavy duty pair of scissors, a large and a small bit driver, along with a large screwdriver, as well as a combination wood/metal file and a diamond-coated file. The wire stripper makes the tool especially useful for electricians, and the tool also has a ruler and an opener for bottles and cans, as well as 2 double-end bits. Did we mention it comes with a sheath too? 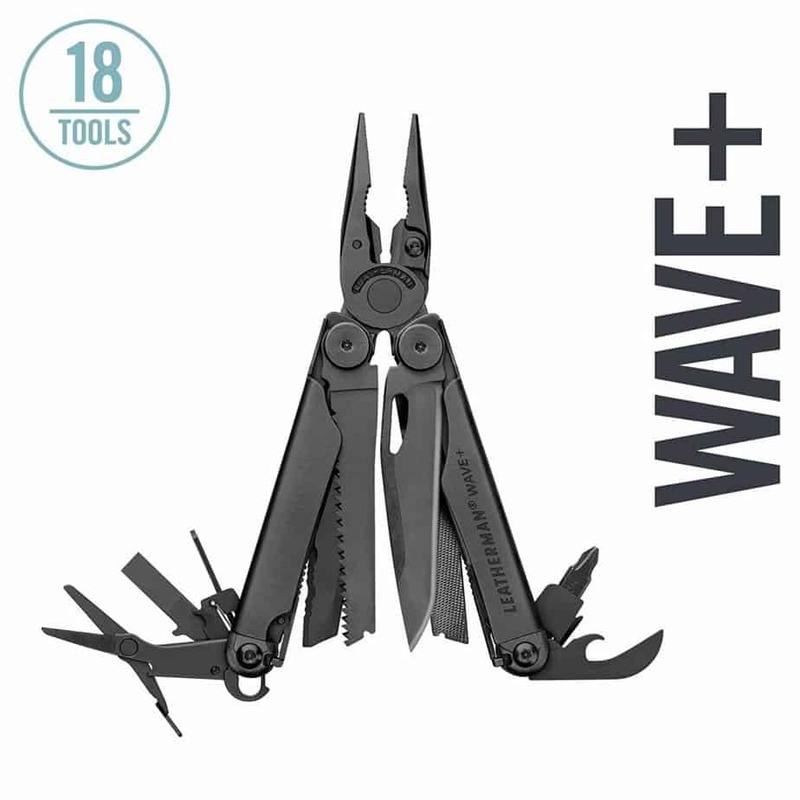 Customers who reviewed the Wave Plus reported, in the vast majority, that this was the best multi-tool they had used. They like the fact that all of the tools lock open, and that they can access the knives when the handle is closed. They don’t, in general, like the bulkiness of this model, although some commented on the nice compact size. Click here to read more reviews. 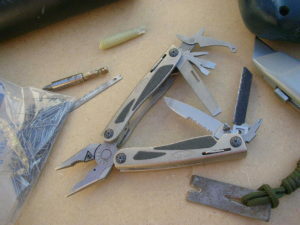 Gerber is a popular multitool brand. The Gerber Legend is made of tungsten carbide-steel and stainless steel, and comes with a nickel-coated, die-cast aluminum handle. The blades of the knives are tungsten carbide-steel, while the rest of the tools are stainless steel. The wire cutter, which is replaceable, has zirconium nitride coating to make it hard, and cuts on 3 edges. The handle has rubber inserts that make the tool stable in your hand, insuring a steady grip. The die-cast aluminum handle is strong and torque-resistant, and coated with nickel for durability. The Legend comes with a lifetime limited warranty. All of the tools on the Legend lock open, for safety. With the Legend, the customer gets 12 tools. The multi-pliers themselves use the one-handed opening system patented by Gerber. The carbide cutter has a spring assisted jaw, giving the user more power. The 12 tools included win the handle of the Legend are needlenose pliers, one each of a small, medium, and large flat screw driver, a remgrit saw, a pair of Fiskars scissors, a Philips driver, and a knife blade with ½ serrated edge. The tool also has an opener for bottles and cans, and a file. Customers who purchased the Gerber Legend said that it is hard to open some of the tools, as some of them use a thumb-nail groove that is too small for most men. In addition, the users of this tool said that if their hands were sweaty or greasy, they could not open the tools very well at al. Other customers said that the tool is well made. One person said he broke the knife blade, and Gerber replaced the tool. Click here for more details. While the SOG Assist seemed to be really a favorite of the military reviewers, the Leatherman – Black Wave Multitool with MOLLE Sheath wins this recommendation. This is based on the construction materials, the safety features, and the fact that the vast majority of reviewers favored this model over the others. There were fewer complaints and faults with the New Wave than the other tools. Leatherman Surge is my favorite so far. SOG PowerAssist = smooth-as-glass function, great fit and finish, but has a plastic housing covering for the assisted knife springs/gears. PLASTIC DOES NOT BELONG ON A MULTI-TOOL!!! THINK SOLVENT, SOG!!! Knife grinds are perfect, at least on my sample. Also, overall larger, bulkier tool, with extra steps (opening closing cover gate each time), just to access tools. Best pliers of any multi-tool. Can modify by replacing certain tools with others can order (i.e., different screwdrivers, saw, etc…). Not sure how durable the assisted knife springs are, have heard of them failing over time in a couple of posts online. Perhaps anomalies. Also, lockup on tools may not be at tight as on Leatherman (i.e., some small, detectable play with some of the tools and with the knife blades). Leatherman Wave = best design in terms of accessibility. However pliers pinch my hand every use. Also, every Wave I have ever handled was stiff out of the box. Knife grinds are badly uneven and vary with each tool. If you break a part on the tool, as I have done, Leatherman will replace the multi-tool with a refurb, which may not be of the quality of the one you send in (I got one back with a chipped serrated blade). Oh, and if you check the little box on the form that says do not replace, but repair this multi-tool (has sentimental value), they’ll still likely not read that and send you a refurb, anyway–you can kiss your “sentimental value” tool goodbye. This happened to me. Also, cannot modify tool other than to buy an attachable pocket clip. Pricey, compared to competition. 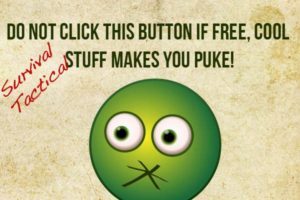 I watched a segment on the History Channel where an American soldier related his hand to hand combat incident with an Iraqi insurgent. He stated that he beat the guy as hard as he could with his helmet and finally used the knife on his Gerber multi-tool to finish him off. To me, that was a pretty good review of the Gerber.